Installing hardwood floors you can always gain new knowledge and experience that will serve you well in future endeavors from each new project. However, during each project there are certain steps that must remain unchanged. For example: subfloor preparation. Understanding the individual phases of the installation of any type of flooring and their relationship to each other will make your job more professional and reliable. 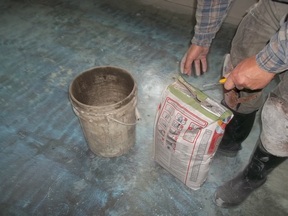 The first step of the installation is studying and subfloor preparation. Typically, customers do not want to invest in leveling and try to make it the process cheaper. They do not realize that incorrect leveling often affects not only the quality of installation, but also the appearance and quality of floor. When installing wood floors on different projects, you have to deal with the subfloor preparation that any may already have floor covering. It can be a tile, vinyl, carpet, linoleum and even an old hardwood. Customers often cannot make rational decisions about the old flooring, as they are busy figuring out the costs of the project. Your job, as a professional, is to give them wise advice. 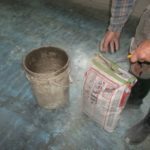 In any case, to prepare a subfloor for hardwood installation, you should remove the old tile, laminate, linoleum, vinyl or carpet completely. There are times when you can start hardwood installation without any preparation. For example, if a customer asks to install a new hardwood over old one. Sometimes it happens because the old hardwood is not possible for refinishing, and sometimes just because it is the wish of the customer. To begin installing the new hardwood over old one, you must do the following work: The first task is checking a leveling. It must be done in any case necessarily. First, because over time the house shrinks and constantly moving. Secondly, the previous leveling could be faulty. The second task is comparing the level in all the rooms at home. If a customer plans to install a new hardwood over old one only in one room, for example, living room, you should be sure to add the height of the new material to old one. Check whether or not to open the door to the room, can you make a smooth transition from the living room into other rooms. If a tile from a neighbor room is adjacent to the living room, make sure the new floor will stay with it at the same level. If you see that this project allows you to establish a new hardwood over old one, then your customer was lucky and he will not have to spend money on removing the old flooring. If the level of new floor will have a significant difference, you must remove the old hardwood and only then install the new one. If there is an opportunity to make refinishing of old hardwood, do not be greedy and always advise clients to do it. You’ll save him a considerable sum of money, and get a good reputation for yourself, which is very important in your work. Installing hardwood, you must learn to quickly calculate the best options for clients and their projects. Be assured that the next time your customers are sure to recommend you to their friends. For more great tips on installing hardwood floors, read other posts and articles on our website.